The enhanced dynamic height-adjustable dual monitor mounts are the perfect monitor mount solution for hospital areas, offices or at home. With the Pole Mount offering extended manual height adjustment. This has a quick-release monitor interface, with easy maintenance. 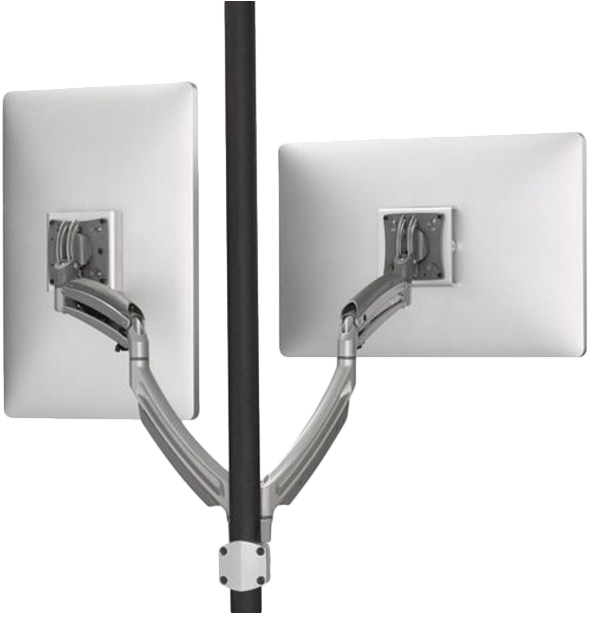 It clamps to poles ranging from 1.50″ – 1.90″ diameter and has infinite manual height adjustment on the pole for optimising screen position.